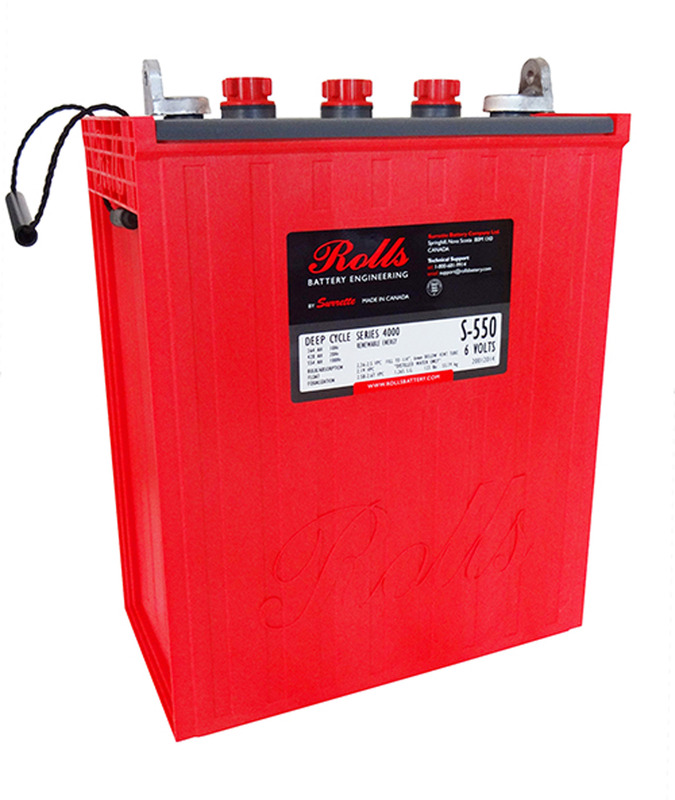 The Rolls Surrette S-550 deep cycle batteries feature a high cycle life with thick, positive battery plates and a large liquid reserve. With a higher total capacity than the S480, Rolls Surrette takes the L-16 size battery to even higher levels by improving the overall capacity and service life. The model S-550 is also unsurpassed in reliability. Connections are easy due to the thick lead alloy flag terminals for 5/16 in. bolts. The battery is packaged in a light weight structural molded container with lifting rope handles. *Please contact us for shipping rate. We ship across Canada.